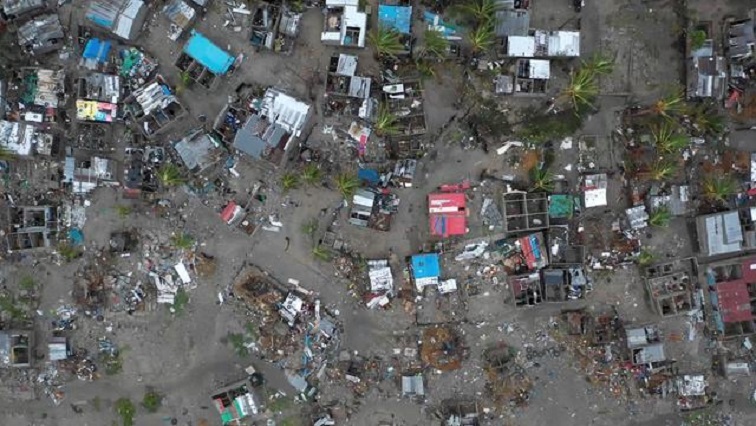 Over 200 dead in Mozambique in the wake of Cyclone Idai - SABC News - Breaking news, special reports, world, business, sport coverage of all South African current events. Africa's news leader. The cyclone has hit land near Beira on Thursday and moved inland throughout the weekend, leaving heavy rains in its trail on Tuesday. Winds of up to 170 kph (105 mph) and flooding swept across south eastern Africa, including Zimbabwe and Mozambique, affecting more than 2.6 million people, United Nations officials said on Tuesday. Rescue crews were still struggling to reach victims five days later, while aid groups said many survivors were trapped in remote areas, surrounded by wrecked roads, flattened buildings and submerged villages. The Red Cross said at least 400 000 people had been made homeless in central Mozambique alone. While the official count has increased, it remains well below the 1 000 deaths Nyusi had estimated after flying over some of the worst-hit zones, witnessing submerged villages and bodies floating in the water. The cyclone hit land near Beira on Thursday and moved inland throughout the weekend, leaving heavy rains in its trail on Tuesday. More rural areas remained inaccessible. Studies of satellite images suggested 1.7 million people were in the path of the cyclone in Mozambique and another 920 000 affected in Malawi, said Herve Verhoosel, senior spokesman at the UN World Food Programme. He gave no figures for Zimbabwe. “If the worst fears are realised … then we can say that its one of the worst weather-related disasters, tropical-cyclone-related disasters in the southern hemisphere,” said Clare Nullis of the UN World Meteorological Organization. In Beira, a low-lying coastal city of 500 000 people, Nullis said the water had nowhere to drain. Britain has pledged up to 6 million pounds ($7.96 million)in aid. This entry was posted on 20 Mar 2019,05:56AM at 5:56 AM and is filed under Africa, Homepage Latest Stories Slider. You can follow any responses to this entry through the RSS 2.0 feed. Both comments and pings are currently closed.